Gaming Innovation Group on Nasdaq - A new milestone for GiG! 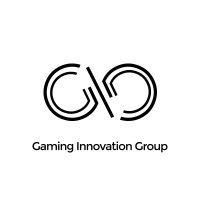 In recent financial and iGaming news, Gaming Innovation Group (GiG) confirmed they’re now trading on Stockholm Stock Exchange, Nasdaq. The new listing went live March 26th, 2019. And now that this milestone is out of the way. GiG can re-focus and continue “To open up iGaming and make it fair and fun” for everyone. As many knows, GiG initially traded on the Oslo Børs, which they will keep on doing in tandem with Nasdaq. Further information will follow (by GiG) at a later stage on this matter. For now, the shares will continue to use the same ISIN code. The only change is the ticket code; GiG is now GIGSEK. All and all GiG became the 8th company to list on Nasdaq’s Nordic market in 2019. Even if trading on Nasdaq is an important achievement for GiG, who’s not even 10 years old, yet. The company didn’t announce any internal changes. Which means that the current strategy that gave them this success is still very much viable in the long run. GiG with its customer-facing brand Rizk Casino will continue to innovate and be a corporate window for their eco-system and new slot game studio. Plus, the operations will still call the Malta office, its HQ. And so, they’ll keep licensees in the UK, Malta, New Jersey, Germany, and Sweden. So, as the headline reads, it’s business as usual for the group.